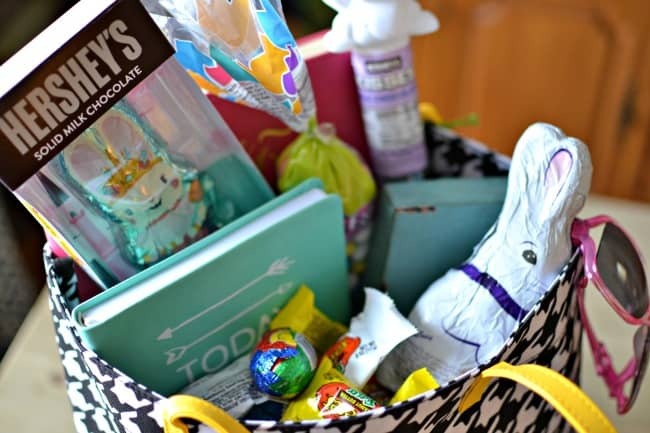 Easter Basket Ideas for Tweens and Teens - What they really want! On this post, you will find great ideas for girls and boys! You can keep your big kids in on the fun just a little bit longer. Growing up we always got the Easter baskets that came pre-filled and packaged all nice and neat. These are great but the unfortunate part is the items that come inside those are typically good for when your child is younger. What do you do when your 8-12 year old thinks he/she is a teenager and doesn’t care for kiddie toys anymore? You figure out real quick how to create your own Easter basket. 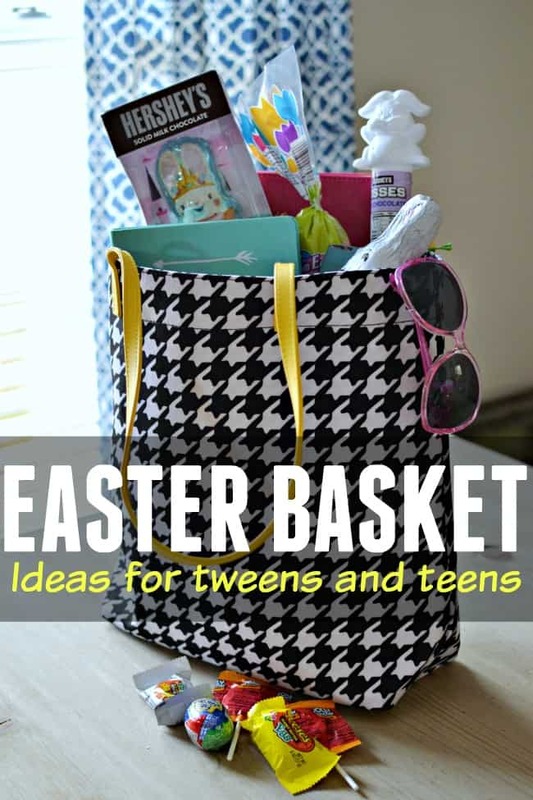 Today I wanted to share with you some Easter basket ideas for tweens and teens. 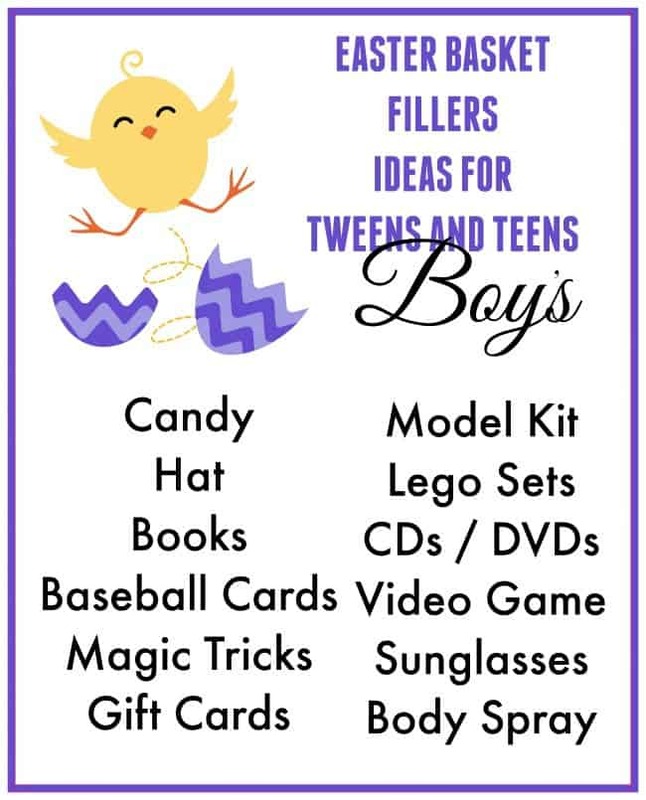 Granted, these ideas are mostly geared towards girls, because I have a daughter, but if you are looking for specifically boy ideas for Easter baskets then we have those too. The first thing I started out with is the Easter “basket” idea. I don’t know how many Easter baskets we have bought over the years but they usually last a year and then you have to buy another one. Why not make the Easter basket something they can use as well? With that in mind, I decided to go with a tote. 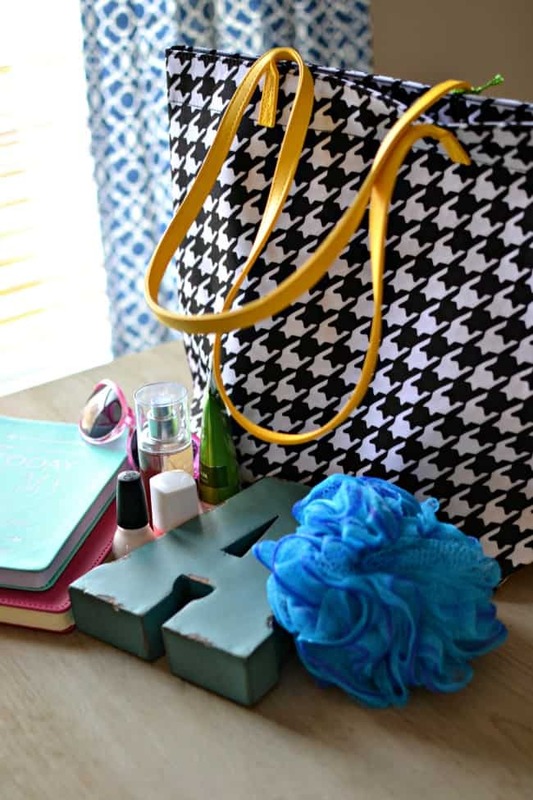 Here is a really cute tote if you are looking for ideas. If you have a son check out this one. 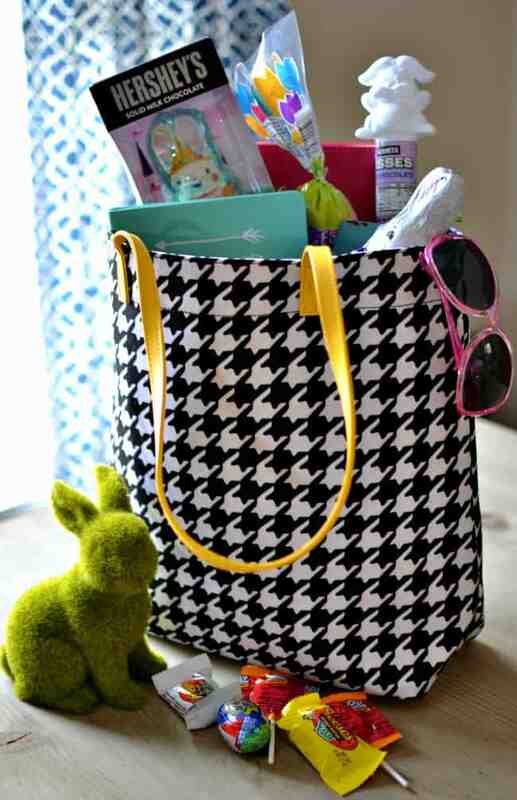 It is getting closer to Summertime and we use totes around here for all sorts of things, especially when we are traveling. I decided to fill it with some tissue paper because the kid already has too much stuff. She didn’t need a whole tote full. After that, just fill with all sorts of things you think your tween or teen will love. Here are a few ideas that I used: journals, sunglasses, nail polish, lotion, body spray, body sponge and room decor. Want even more Easter Basket Ideas for tweens and teens? 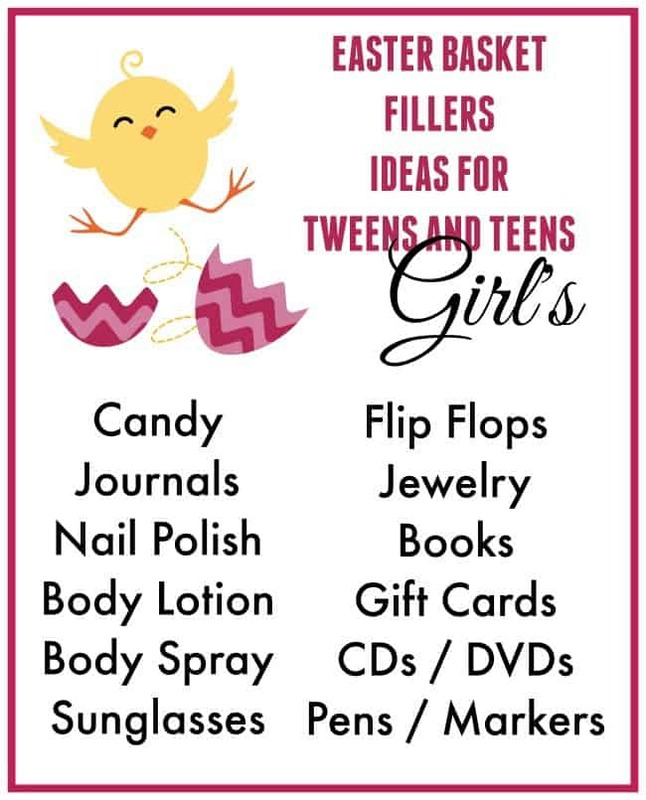 So I hope these ideas have your head filled with ways you can treat your tween or teen to something they will absolutely love this Easter. The Best Easter Decor Finds on Amazon! Where did you get that cute b&w bag with yellow handles? Love it! Great ideas, thanks. That is a Vera Bradley tote. I have had it for a minute though so not entirely sure if they still have it available.